In the context of the European Commission’s Public consultation on fake news and online disinformation, EURACTIV asked a couple of experts to contribute to this debate. More here. Renate Schroeder is director of the European Federation of Journalists (EFJ) and has worked for the organisation for more than 20 years. Social media is ever more influential and powerful, due to an enormous power of ownership, of clever hacking in a so-called hacking the attention society, all this with an almost complete lack of transparency and accountability. The business model that sustained journalism has collapsed with the consequent closure of newspapers, radio and TV stations, hundreds of thousands of job losses and an emerging democratic deficit with many “news deserts” at community, local and regional levels. While more individuals have access to content than ever before, the combination of political polarisation, technological change and the marginalisation of quality journalism has facilitated the rapid spread of hate speech, propaganda and ‘fake news’ often leading to disproportionate restrictions on freedom of speech. When it comes to fostering quality journalism my starting line is the importance of investing in resources and staff as a prerequisite for responsible reporting, and this at a time when legacy media is in crisis and the voices of independent quality journalism are often silenced be it for political or economic reasons. There is a need for news subject to verification and validation, which is distilled and analysed and presented in context and understandable form. A potential positive effect of ‘fake news’ is that the position of quality news brands may be strengthened by highlighting the need for trusted brands and accurate news in times of uncertainty. For the production of quality news you need professional journalists and this costs money. So the discussion of public and private funding must be on the top of any media agenda including how to tackle fake news! Given the speed of false news and propaganda spreading in today’s social media, good journalism is ever more important and can only survive when it is better than its “loud critics” offer. However, work intensification, multi-tasking and working on all platforms including own branding make it more difficult to just be a journalist and seek the truth. Left out of many critiques of ‘fake news’ is the legacy media’s own role in misinforming the public, be it intentional or unintentional (the BREXIT coverage in British media is only one example), be it out of partisan or ideological or propagandist reasons (see Catalonia, Ukraine-Russia) or purely for sensational commercial incentives (click philosophy). The Commissions issue paper on fake news suggests that there is a publishers’ incentive to adjust their editorial mix away from fact-based news and towards more captivating “views”. It seems that rather than aiming at a trusted media model, the media today too often copies the social media’s business model based on what the Oxford scholar James Williams coined the “attention economy”. Internet giants and social networks’ fake news is a profitable business model: more than 600 global brands are advertising on fake news websites – and they do not seem to care! So there is a clear need to address the incentives that underlie the distribution of some fake news. The attitude of social networks is dictated by the marketing interest rather than the public interest. No one is talking about regulating the financing of ‘fake news’. A report by Propublica in June 2017 found that Facebook’s secret censorship policies tend to favour elites and governments over grassroots activities and racial minorities. The Reuters Institute for the Study of Journalism recently carried out the biggest survey of audience perspectives on fake news. 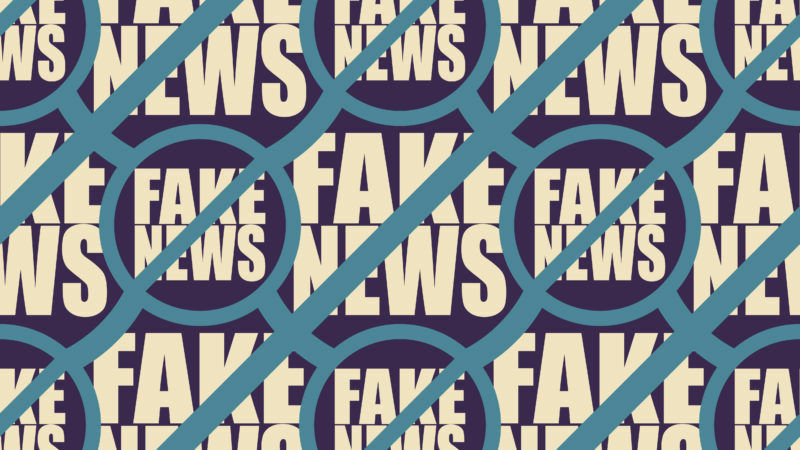 The findings show that from an audience perspective fake news is only in part about fabricated news reports narrowly defined and much more about a wider discontent with the information landscape – including news media and politicians as well as platform companies. For audiences the difference between fake and real news is gradual not absolute. They see partisan news coverage as fake news and disinformation not because of the lies it tells but because of what it omits to tell. In a recent discussion with fact checkers in Germany they said “(fakes) are never black or white but grey and the main problem is that information and facts are taken out of their context”. This is only one of the reasons why internet companies should not be forced to remove content within very short time thus regulating them to prohibited speech! Such process should be transparent and accountable and open to different stakeholders. Otherwise, this would let private companies to decide the legality of content rather than the courts. I agree with Rasmus Nielsen, another Oxford University scholar, that “not enough is known about the inner working of social media to come up with effective regulation”. Your report unfortunately does not represent careful journalism. You cite James Williams of Oxford University as the “coiner” of the idea of the Attention Economy. A little research reveals he is 35 years old or thereabouts. He was a small child when I coined the term in English, about which I have written extensively, as can easily be found with a simple Google search.